And it came to pass in those days that a decree went out from Caesar Augustus that all the world should be registered. This census first took place while Quirinius was governing Syria. So all went to be registered, every one to his own city. So it was, when the angels had gone away from them into heaven, that the shepherds said to one another, “Let us now go to Bethlehem and see this thing that has come to pass, which the Lord has made known to us. And they came with haste and found Mary and Joseph, and the babe lying in a manger. Now when they had seen Him, they made widely known the saying which was told them concerning this Child. And all those who heard it marveled at those things which were told them by the shepherds. But Mary kept all these things and pondered them in her heart. 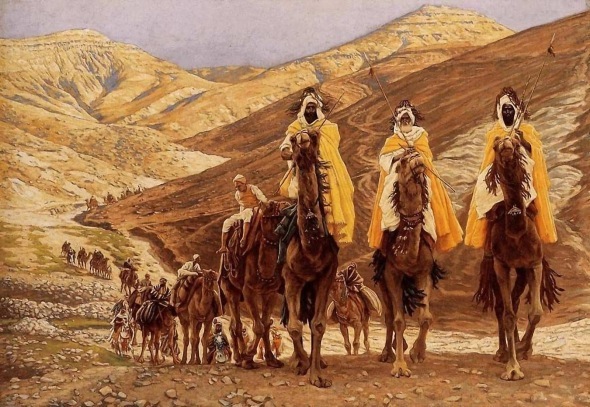 Now after Jesus was born in Bethlehem of Judea in the days of Herod the King, behold, wise men from the East came to Jerusalem, saying, “Where is He who has been born King of the Jews? For we have seen His star in the East and have come to worship Him. When they heard the king, they departed; and behold, the star which they had seen in the East went before them, till it came and stood over where the young Child was. 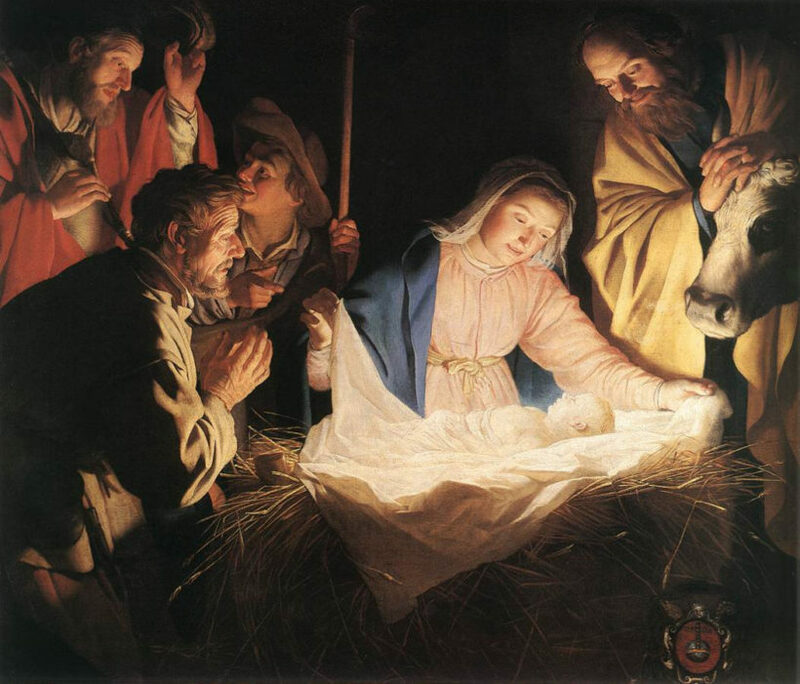 When they saw the star, they rejoiced with exceedingly great joy. And when they had come into the house, they saw the young child with Mary His mother, and fell down and worshipped Him. And when they had opened their treasures, they presented gifts to Him: gold, frankincense, and myrrh. From the Bible, read about Jesus in Luke 1 and 2 and Matthew 1 and 2; and in Isaiah 53 from the Old Testament. Handle’s Messiah is an oratorio composed in 1741 by George Frideric Handel, with a scriptural text compiled by Charles Jennens from the King James Bible. It is performed throughout the world every year during the Christmas season. Jennens’s text describes the birth, life, death and resurrection of Jesus Christ, the Messiah – who is the savior of the world. He redeems (saves) people from their sins. The text begins in Part I with prophecies by Isaiah and others, and moves to the annunciation (the angels announcement) to the shepherds.